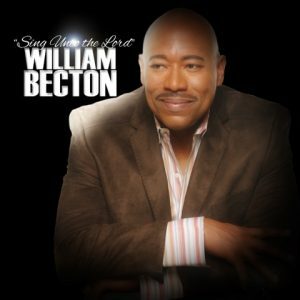 Singer/songwriter, producer and two time Stellar Award winner Pastor William Becton makes his re entry into Gospel music after over a decade with the release of Sing Unto The Lord A New Song. Becton is forever remembered for Be Encouraged. The song made its debut on the Billboard Gospel charts at #3, and Broken, the album propelled to #1 for over 11 weeks in addition the song charted on the Billboard R&B singles chart at #59 and continued its ride for 21 weeks. Becton says the new single is a homecoming of sorts, “It’s a return to ‘real music,’ classic song creation, and the pure power of praise.” Sing Unto the Lord hits digital retail outlets on August 19th.